The annual Madiba Day has presented itself with yet another opportunity for South of Africa to give back to the community, and for 2018 South of Africa is taking another leap to honour and assist those who make a difference in the future of South Africa. A mere 20km outside of Bela Bela lies Bambelela, a world-famous Wildlife Care and Rehabilitation Facility. The name Bambelela means “to hold on” in Zulu, and South of Africa is reaching out to its workers this year to give back to the people that selflessly give their time to conserve the wildlife which is a precious part of South Africa’s rich culture. 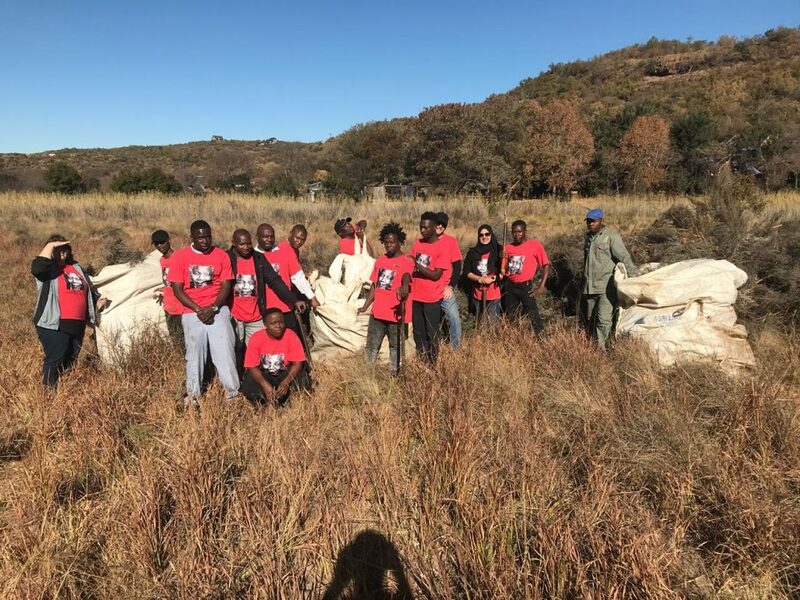 Led by Khatija Mahomed, a group of South of Africa employees took it upon themselves to plough back into the Bambelela community today with alien and invasive plant removal, clearing up their alternative feeding spot and assisting with a selection of labour-intensive duties – all in the name of giving back. The team will offer some relief to the resident personnel of Bambelela with tasty snacks and beverages as a way of thanks for all the anonymous work they do behind the scenes for the wildlife of our beautiful country.